Bollard with 2 eyelets for chain attachment. The bollard is made from galvanised steel and installed by concreting in. 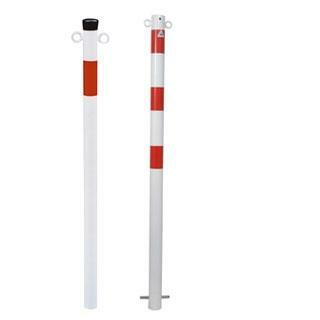 Round bollards with dimensions between 42-76mm and square bollards in 70x70mm. 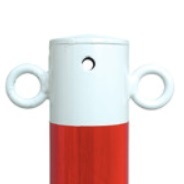 Apart from zinc colour and red/white it is also possible to get the bollards in any RAL-colour you want at an extra charge. Request a quotation for custom colour. For maximum stability we recommend a depth of 400mm below ground when concreting in. 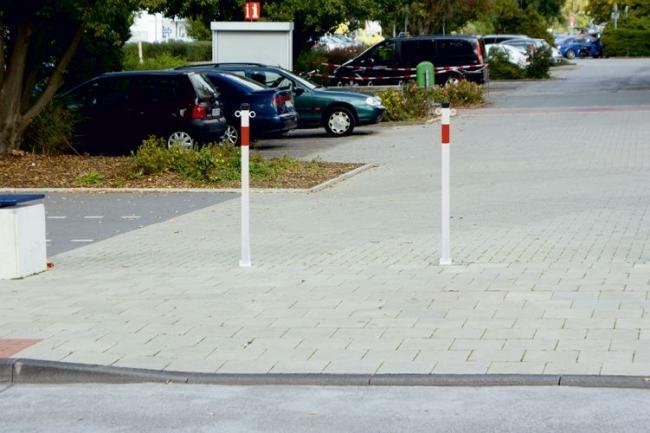 For extra stability you can order the safe bollards with lose steel caps (comes in two versions, with screws or anchor). 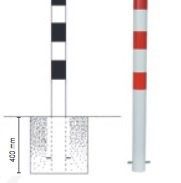 The bollards with lose steel caps can be concreted in and additionally filled with concrete for more weight and better crash resistance. The caps are mounted to the bollard after the concrete is filled in from the top of the bollard. PLEASE NOTE! This needs to be ordered separate, you'll find theese accessories in the right sidebar. 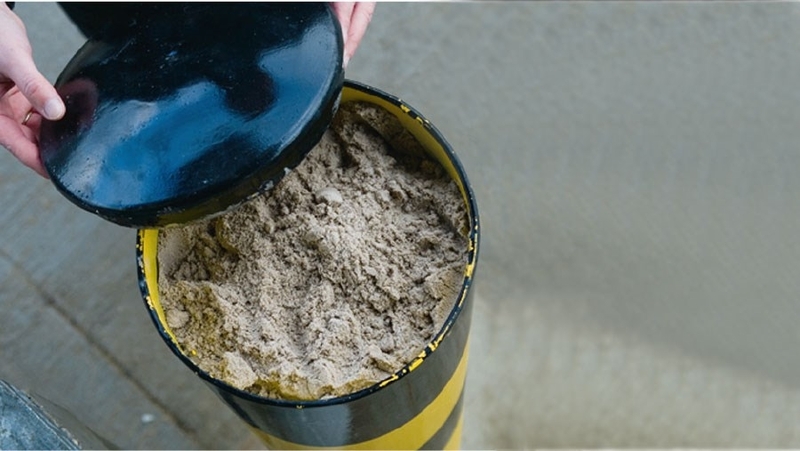 For maximum stability we recommend a depth of 400mm below ground for casting into concrete. Foundation, approx. 250x250mm.